There are a lot of root applications and one of them is Kingroot. It is an application that enable you to be able to access root on your android device in just several seconds. It means that this application works as Towelroot but this app can be used even in the system of Lollipop. The use of this app is very simple. You just have to simply click on Root button to be able to root your device. Then, you will be able to access root through your device after some seconds. Even though the use is very simple, you need to note that Kingroot is not able to be used in all android devices. For instance, if your device is Moto G, Kingroot sometimes cannot work. However, this app can work well in Nexus. There are some pros and cons of Kingroot. What are they? Kingroot can remove bloatware and unnecessary apps. Kingroot can work with android 2.x to 5.0. Kingroot can save system resources like battery, RAM and memory. Bloatware is able to be removed manually. It will be limited by Cloud service. If you root your device, you will need to do system backup before rooting. Kingroot permits acquiring of root access while avoiding utilizing any third-party recovery application into mobile devices. It is good for those who have a minimal understanding of using their minimal functionalities of their phone. The function of this app can deploys itself from the cloud to the mobile device while depending on what is indicated by the ROM information. Any services such as Samsung KNOX and Sony RIC will still operate while the app is open. Users are not able to unroot their mobile devices at a single tap. Kingroot is good for people who are experiencing slow down and poor performance from their mobile devices because they are able to remove any unnecessary applications or bloatware through rooting. Applications and bloatware are able to consume a lot of system resources if left unchecked. The battery is drained, storage is full and RAM is clogged but they are usually pre-installed in mobile devices by their manufacturers as a bonus but these apps are not important content and also means to advertising. Well, you may have used Kingroot on your device and now you have removed the apps that you do not need to use. 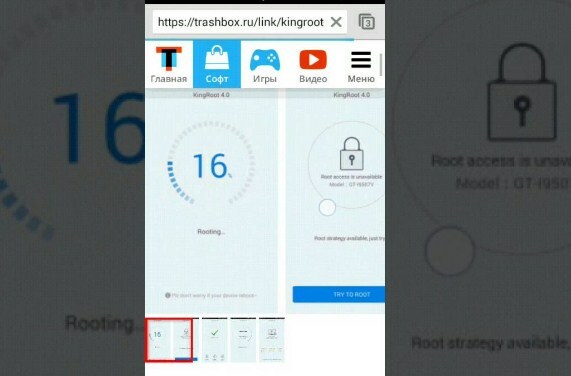 After that, you want to delete the Kingroot app to the Trashbox but you cannot do that. The process of removing this app is always failed again and again. If you experience this, you do not be panic because you are not alone. Other people who are also failed in uninstalling Kingroot try to go to their main phone settings. Then, click on the apps and click on Kingroot. After that, click on force stop and press Uninstall button. By doing this, they are succeed in uninstalling Kingroot. You are also able to do that to uninstall/ throw your Kingroot to the Trashbox.